These tips are geared towards crabbing from a boat, although many of these tips can also be used when crabbing from a pier. Click below to read more about the various topics. 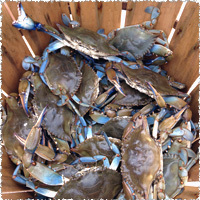 Within each topic you will find valuable information to help you catch more crabs.